Take advantage of the opportunities to grow together with the team-building activities that are available in the Roanoke Valley in Virginia&apos;s Blue Ridge Mountains. 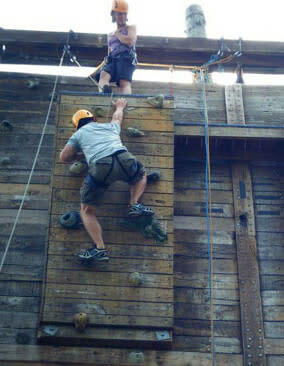 High ropes and climbing courses at the W.E. Skelton 4-H Educational Conference Center, River Rock Climbing, Hollins University and Camp Roanoke will provide challenges that force people out of their comfort zones. You can also help your team reach its potential with an outdoor adventure through Muddy Squirrel or Roanoke Mountain Adventures. These activities can help with all the great aspects that team-building offers, including assisting your group gain trust with each other, increasing collaboration on various tasks, and developing effective communication skills that enable them to operate more cohesively as a group. The tasks of taking on different responsibilities and recognizing opportunities for leadership are things that can translate from a ropes course back to a business setting or office environment. Establishing the strengths and weaknesses of the group during a scavenger hunt could assist the organization when it&apos;s time to create the next marketing plan and staff re-organization. Not only will it be a fun and exciting experience your team can have together in Virginia&apos;s Blue Ridge, it can also serve as a time of building foundational principles that help the group work together in the future. 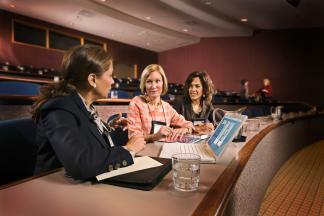 Our team at Visit Virginia&apos;s Blue Ridge is excited to help your team become better.